"It was Isabelle's turn to sit with the body. The room was mercifully cold. The chill masked the odor of decay, froze it midair between the coffin by the shuttered windows and the smoldering fire in the tiled hearth across the room. Isabelle stared into the ashes crumbling around a half-hidden heart of embers that glowed orange beneath black like a small, secret hell." 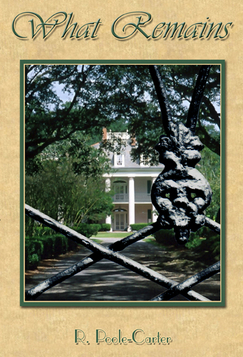 In November, 1865, still mourning her fiance's death, Isabelle Ross joins with journalist Paul Delahoussaye at Belle Ombre Plantation to untangle a murderous web of secrets and lies. Rosemary Poole-Carter is a novelist and playwright whose work focuses on the history, mystery and eccentricity of the American South. Her plays have been produced in the Unitied States and Europe, and include Mossy Cape, based on Southern folklore, and The Little Death, set in 19th century New Orleans. Her other novels are What Remains, an historical mystery, and Juliette Ascending, a young adult historical. 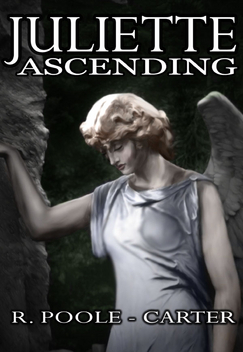 Rosemary is a member of the Historical Novel Society and Mystery Writers of America. A graduate of the university of Texas at Austin, she lives in Houston.